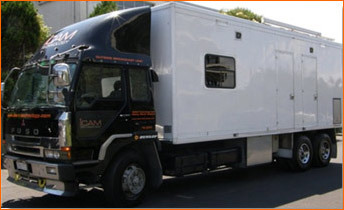 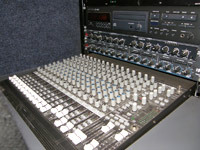 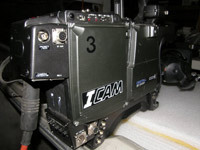 The ICAM Outside Broadcast truck is available for small to medium outside broadcasts, live screen events, internet video and audio streaming, and post produced events. 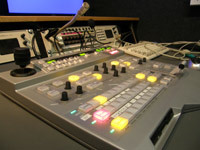 The videotape/2nd production-Graphics-post area is a 2 tier design with facilities provided for a single operator fitted with a 4 channel Tektronix PDR-200 record/ play-out DDR (EVS) with a slow-motion controller and 2 Beta SP VTRs. 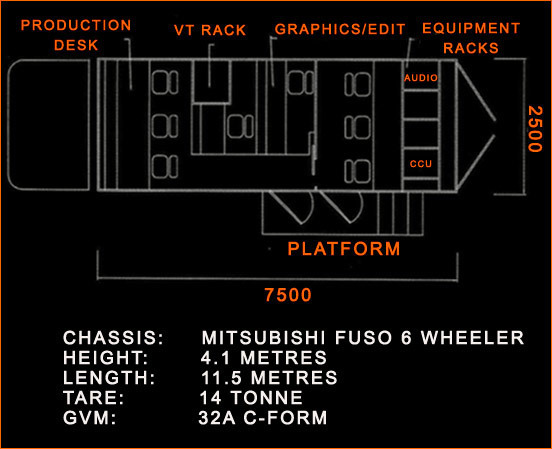 Our air-conditioned unit provides a streamlined facility with the capacity of accommodating 8 seated positions. 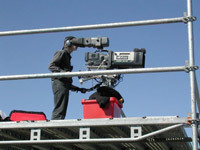 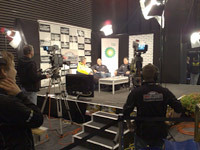 It offers space and comfort without being confined to smaller commercial van outside broadcast vehicles.